Raz is a young boy with a sweet personality. He is very much looking for a loving home and he's getting bored with being in the Rescue. 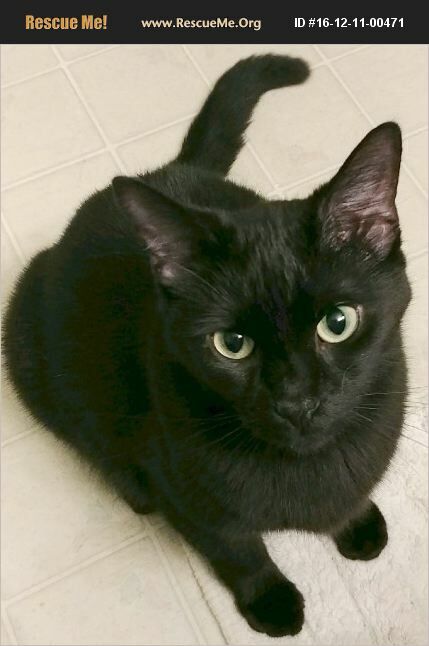 He is a very handsome black cat with green eyes. Raz is neutered, microchipped, vaccinated, Felv/FIV tested, dewormed, and on flea prevention. He is chirpy and loves to show you his belly. He gets along well with other cats once he has about a week to get to know them. If you would like to meet Raz, please contact us.